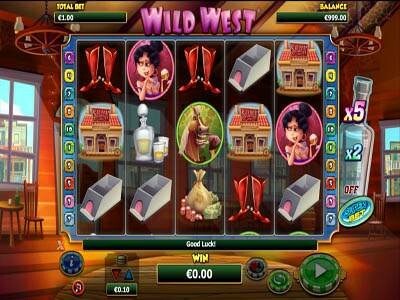 Wild West is a Next Gen Gaming slot game that will take players on a wild journey to the Wild West where they can go into a casino and a saloon in a western town where they can accompany the cow boy in his gambling adventures as they get rewarded greatly. The game has 5 reels and boasts a total of 10 paylines for online players to place their wanted bets on. Players will place these bets as they go through the game’s betting options that are found under the slot’s reels. The game has plenty of line payouts as well as special icons that will help players in getting paid. For example, there is the wild cowboy that can replace other icons on the game’s reels (2nd, 3rd and 4th). Also, it can trigger the Free Games feature through which players can earn 5 free spins with scatter pays that are paid by the chip stack symbol.